Paris was really lively and open and it was very easy to meet people, and I talked about the jigsaw puzzle work a lot, but I never told [André] Breton about them. I was much too shy. I didn’t tell any of those guys about my jigsaws. You know, frankly, very few people paid any attention to what I was doing at that time. I was a) young, and b) a woman. On 26 September 2018 I visited the artist Liliane Lijn in her studio in north London. The purpose of the visit was to interview Liliane about some enigmatic and tantalising lost early works that she made in Paris between November 1958 and March 1959. Click-through to read the full interview on 3:am Magazine . . . I love this. 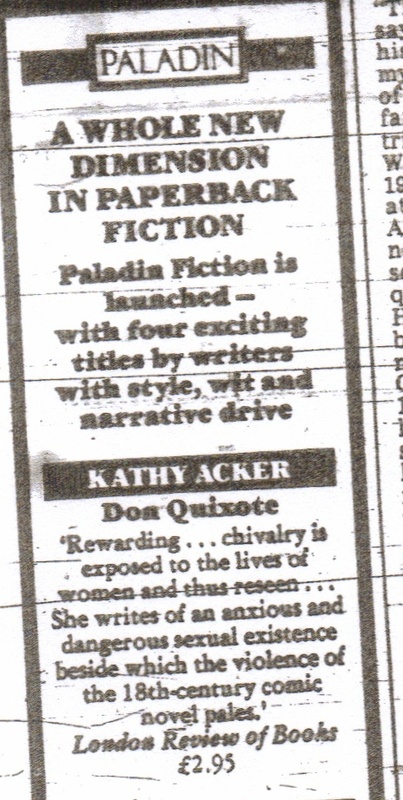 Kathy Acker’s novel Don Quixote as the lead title in the launch list of one time Collins imprint Paladin’s new mass-market paperback fiction list. 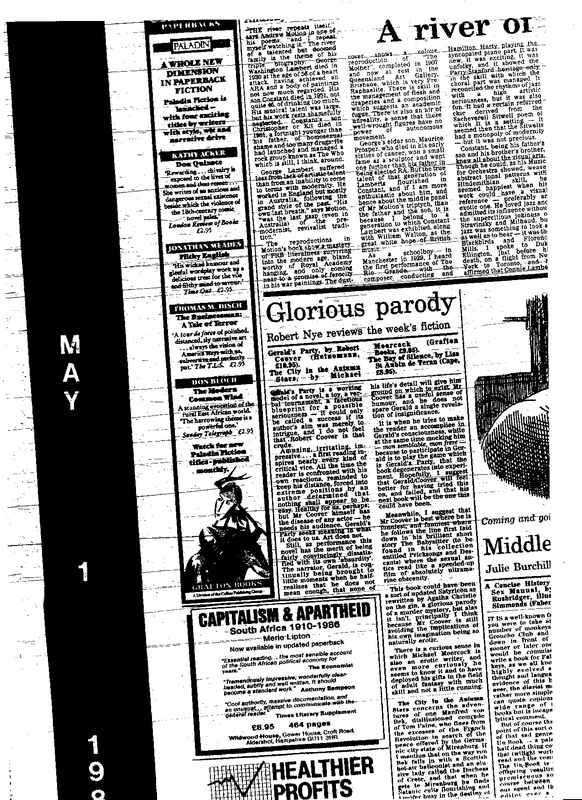 This ad was on the Guardian newspaper’s book page (singular, as it was then) of 1 May 1986. There’s also a great review by Robert Nye of Michael Moorcock’s novel The City in the Autumn Stars that week – see larger image below. I’ve posted the image before, but it would have been Acker’s birthday yesterday (18 April), so I’m posting it here again in honour of that. The ad turned up while I was researching my 2012 Chernobyl novella Dicky Star and the Garden Rule in the British Library’s newspaper collection in the old reading rooms at Colindale, north London. Dicky Star (for short) was written using a mandated vocabulary so turned out to be a test piece for The Fountain in the Forest. Both a thrilling crime mystery and a dizzyingly unique novel of unparalleled ambition. When a brutally murdered man is found hanging in a Covent Garden theatre, Detective Sergeant Rex King becomes obsessed with the case. But as Rex explores the crime scene further, he finds himself confronting his own secret history instead. Who, more importantly, is Rex King? 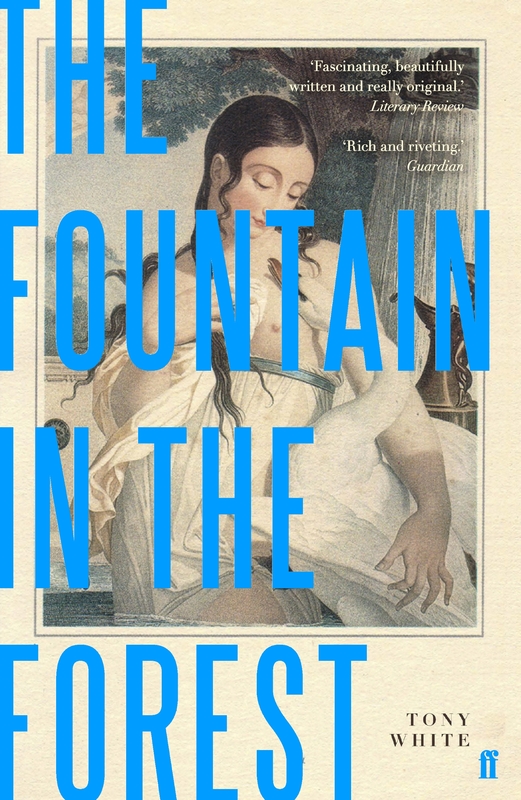 Moving from Holborn Police Station, to an abandoned village in rural 1980s France, and the Battle of the Beanfield at Stonehenge, The Fountain in the Forest explores a decisive moment in recent British social history through the lens of the French Revolutionary Calendar and reveals something extraordinary, in a profound yet playful meditation on liberty. 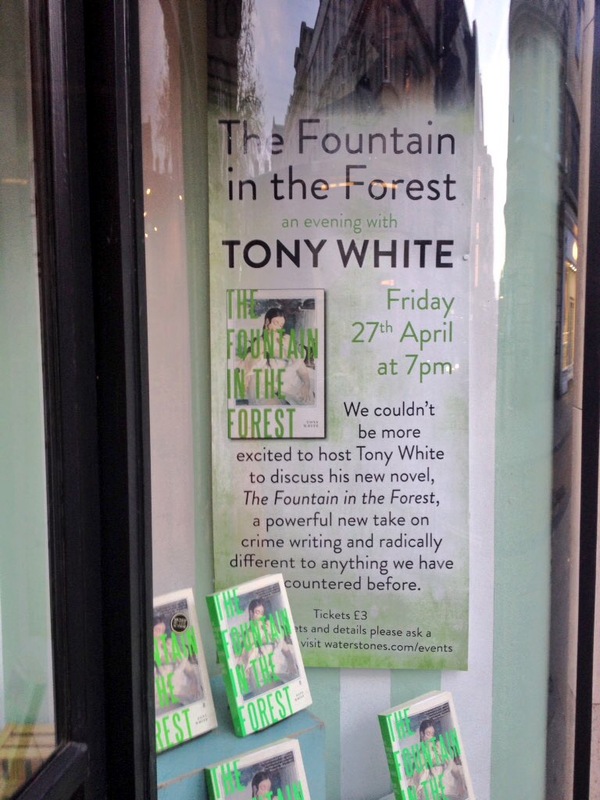 A perfect, bright London afternoon in February saw me leading what I was calling ‘a one-off repeat performance’ of The Fountain in the Forest guided walk, in aid of the Resonance FM fundraiser 2019. The walk took in locations from the novel, from Queen Square and the former offices of Faber and Faber, to Lamb’s Conduit Street and the historic Holborn Library, via the Great Ormond Street site of Wyndham Lewis’s Rebel Art Centre of 1914. The walk was interspersed with readings from the novel, anecdotes, and local history. We also tried to divine the exact location of Sir William Lamb’s conduit, after which – of course – Lamb’s Conduit Street is named. Lamb dammed the Fleet River and built a cistern from which open wooden pipes carried fresh water to Snow Hill in the City of London. Additionally, at or near the cistern itself was a pump or fountain from which local households could draw water. Lamb supplied 120 buckets to local women for this purpose. A map of 1752 shows the exact location of this fountain, a few feet north of the stable yard passage, between two buildings that once fronted onto Lamb’s Conduit Street itself. Those particular buildings are long gone, but the passage remains. I was stunned to discover that this is now the site of the popular and bustling Italian restaurant Ciao Bella!, so it is still a celebrated watering hole and gathering place, and the site of many a Faber dinner. Astonishing! Since Friday, a number of people have got in touch to ask if or when I’ll be doing the walk again. And I would love to do so if possible, so watch this space. As ever, if you’d like to be notified of any future walks or other gigs, do please sign up to receive invites to my launches and events. Thank you to Bronac Ferran for sending through these great photos. 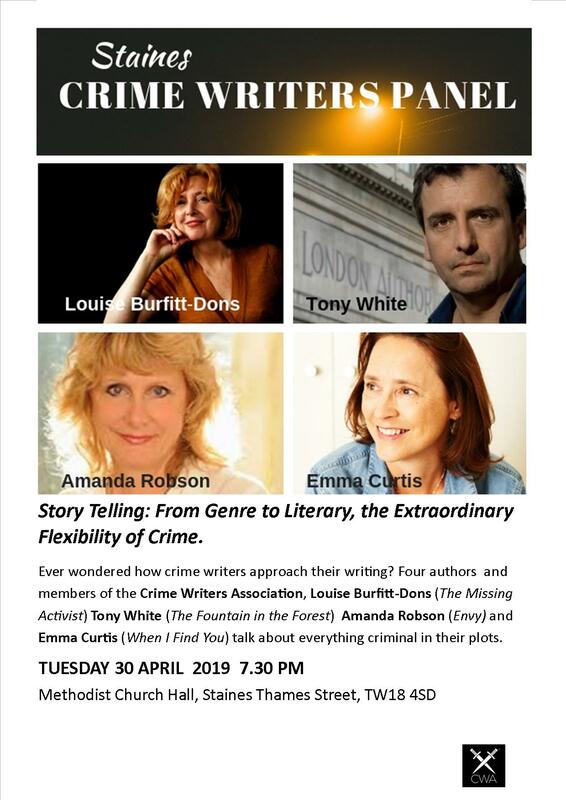 Last summer, The Culture Capital Exchange commissioned me to devise a guided walk of Holborn locations featured in my novel The Fountain in the Forest. The walk – for about a dozen participants – was part of the programme for ‘Refresh, Reboot, Retool: new imaginaries for challenging times’, TCCE’s summer symposium 2018 at the historic Art Workers’ Guild on Queen Square. Now I’m going to be doing the guided walk again on 15 February from 3–5pm, with all proceeds going to trail-blazing London arts radio station Resonance FM’s annual fundraiser 2019. Join me, starting at the memorial to the Zeppelin attack of 1915 in Queen Square (and probably ending in a local pub). The walk takes in many of the landmarks of ‘Rex King Country’, including the site of Wyndham Lewis’s Rebel Art Centre of 1914 on Great Ormond Street, Sid’s (a.k.a. 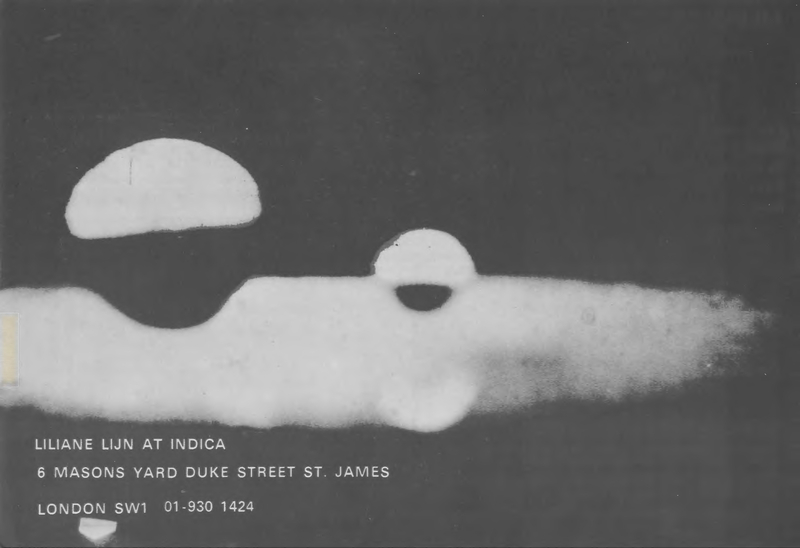 Conduit Coffee House) on Lamb’s Conduit Street, Holborn Police Station, and the celebrated fish and chip shop Fryer’s Delight, interspersed with anecdote, local history, and readings from The Fountain in the Forest. Resonance is a trail-blazing, not-for-profit radio station dedicated to creativity, arts and culture. Launched in 2002, our award-winning programming gives voice to the vibrant diversity of London’s thriving arts and music scenes. Resonance’s pool of creatives speak directly and expressively to an engaged and passionate audience, locally, nationally and internationally. Our 24/7 broadcast service combines Resonance FM’s signal in the City with DAB digital radio coverage across Greater London. And our experimental platform, Resonance EXTRA, features on DAB in Brighton & Hove, Bristol, Cambridge, London and Norwich. Live streaming of both stations adds to the impact of our cultural broadcasts and radio artworks. 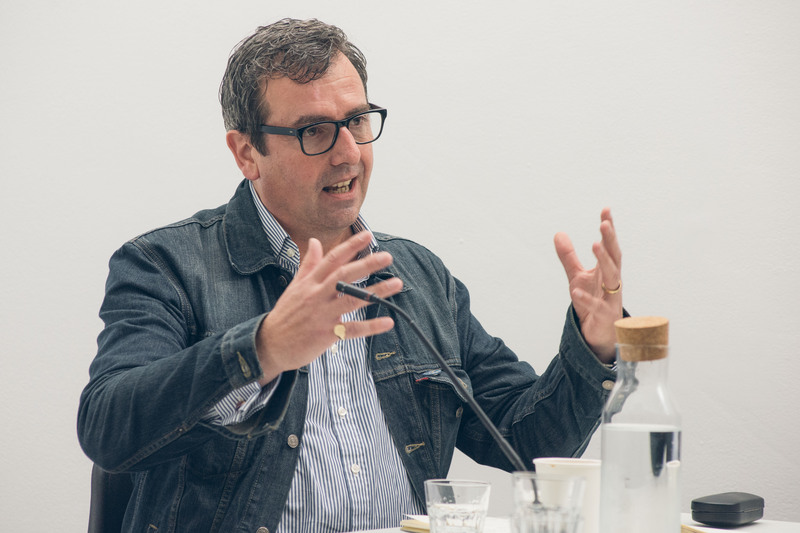 Resonance celebrates its seventeenth anniversary in 2019. We now want to consolidate, refine and grow our work. This year we need urgently to relocate our studios and broadcasting gear (the site is being redeveloped) – at considerable cost. There are many other wonderful items and experiences to bid for in the Resonance fundraiser 2019, from an original painting by Bob and Roberta Smith to steel band lessons, an Art Monthly subscription, or a home cooked meal by Talking Africa host Sonny Decker — do please take a look at the auction listings here.